Should You Travel to VILLETTE? The story follows the tragic, tumultuous, and frustrating life of Lucy Snowe. Written in the first person by an older Lucy, the novel serves more as a psychological study of a woman (in the 1850s) than as a plot-driven story. For plot is the one thing almost completely absent from Villette (hence why it’s such an aggravating novel). It begins when Lucy is a mere 14 years old, and seems to focus more on the petite doll-like Polly and her budding friendship with young Graham than on what orphaned Lucy is doing in her godmother’s home. But soon Lucy moves on from home to job to the French-speaking town of Villette, facing discouragement and tribulation along the way. The entirety of volume one feels disjointed as Lucy makes her disheartening journey to this foreign town (a not unfamiliar journey for readers of Jane Eyre). Volume two, however, opens with a plot twist! An important character that has been popping up in Lucy’s Villette life turns out to be a character from her past. While it’s a nice surprise (if, indeed, you are surprised by it—it seemed like an obvious twist), the revelation is frustrating. Lucy is quick to point out that she knew from almost the first moment she met the character who he really was. She merely chose not to reveal to us (or him) this little revelation. This immediately makes her not only an untrustworthy narrator but also a very manipulative one. An interesting dynamic that makes you want to both pay more attention to what she is telling you and disregard everything she says. It also sets up high expectations that more plot twists may be provided in the future of the novel. But it’s hard to insert plot twists when there is almost no plot. In fact, just as you begin to accept the novel as psychological examination of a very passive, depressive woman, you get a glimmer of hope that more will happen volumes two and three! And, while some stuff does happen, there’s a lot more to slog through to get to it. 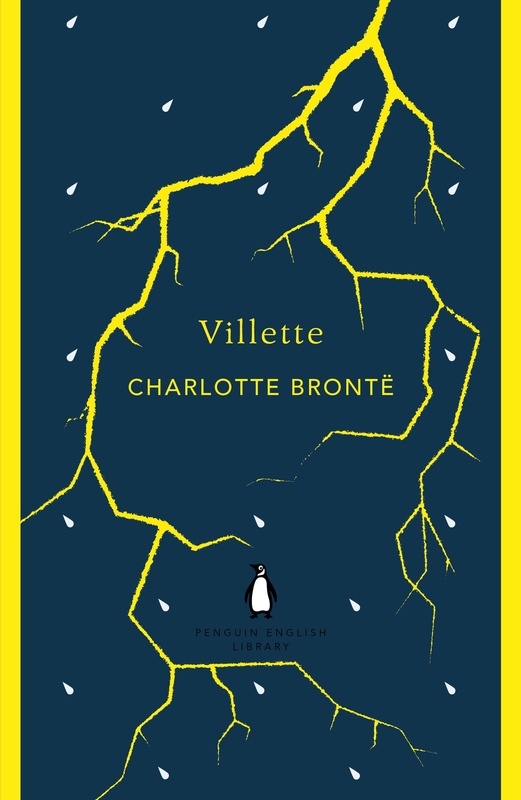 Villette forces the reader to exert patience and luxuriate in the text (a hard thing to do when you’re reading 7 novels at a time, but not an awful thing in and of itself). Yet I felt wholly satisfied with the novel’s ending. Over halfway through the novel, I began to realize that I greatly resembled Lucy Snowe (I most certainly would end up with her in the “Which Bronte Heroine Are You?” Quiz). Her dilettante ways are unappealing but her lack of amusement with so much of life mirrors my steely attitude. If she were a character written today, I know she would be just as snarky as I am (her asides to the reader throughout the novel show promise of that). There’s an essence of Lucy Snowe inside me, and so I felt compelled to finish the novel to see how much of it will mirror my own life (the somewhat ambiguous ending seems a fitting enough life for me to look forward to). Charlotte definitely packs in plenty of her defining plot points. Instead of a mysterious woman in the attic, there is the haunting figure of a ghost nun lurking about the school that Lucy works at. Lucy gets her own love triangle of sorts, including one who seems to think of her more as a sibling than a “lover” (sound familiar?). Yet whatever good fortune we assume Jane deserves, it would feel unjust to expect similar happiness for Lucy. A woman who constantly denies herself happiness should not be rewarded with “eternal joy,” right? But then maybe you should read the novel and decide that for yourself. 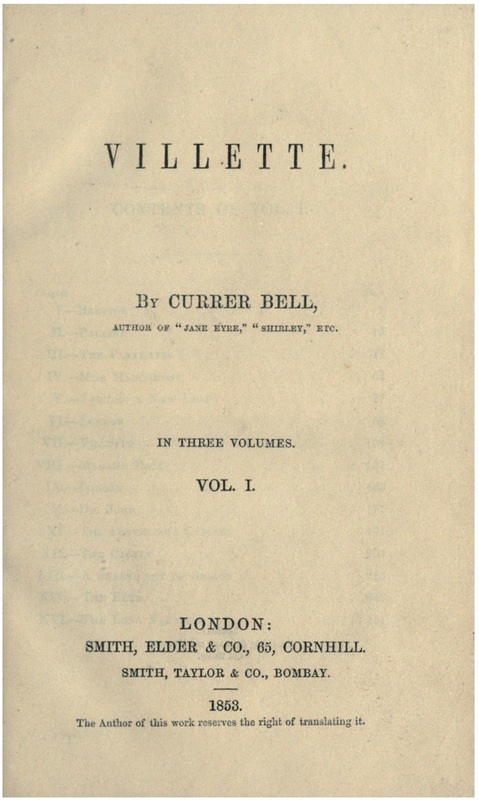 *If anyone finds a copy of Villette with translations, please notify me ASAP! *If, for some reason, you haven’t read Jane Eyre, please do so ASAP! In this day and age, it seems that a book about space exploration would be dull when there are plenty of incredible space films that you’d rather be seeing (Gravity, Sunshine, Alien, Prometheus—yes, I liked Prometheus). But James Smythe’s incredible Anomaly Quartet proves that space literature isn’t dead. The first installment, The Explorer, follows journalist Cormac on the first space expedition in decades, treating the entire endeavor like a reality TV stunt. The crew will be traveling to the farthest point man has ever traveled in space, hoping to reinvigorate the world’s desire for space travel after a disastrous expedition all but killed the global space craze. But this hopeful quest turns out to be a disaster as well. For, as we learn in the opening 50 pages, that Cormac is all alone on the ship, his fellow crew members having all died off (each in their own dramatic way, which he quickly recaps). But there was also a secondary reason for this expedition. Scientist Guy has devoted his life to researching an anomaly he’s found in distant space, and this expedition will give him the opportunity to see it firsthand and potentially send some answers back to Earth. While things for Guy don’t turn out so well, Cormac inadvertently learns a few things about the mysterious anomaly. Smythe packs his novel with mind-bending twists and the eerie kind of paranoia that can only be found in deep space. But he also works in an emotional through-line for Cormac that packs it’s own little punch. The Explorer’s revelations make you want to relieve the book a second time upon completing. And when you’ve gotten as much as you can out of The Explorer, check out the recently released second installment The Echo (which is an incredible novel in its own right).